Meet our team of Friendly, Knowledgeable, and Enthusiastic Ducati staff. 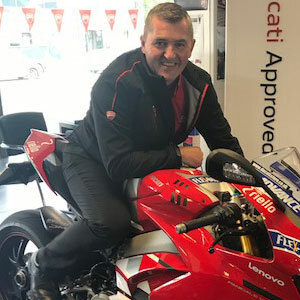 Overseas the running of all departments at Ducati Manchester and has been in the trade for 17 years. Implements new systems and development to ensure customer satisfaction and customer experience is no.1. Usually works 24/7 and replies to all emails, whatever the time of day. 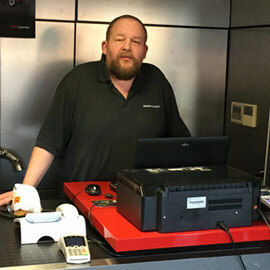 Martin has been in the trade over 20 years and has a wealth of experience in everything motorcycles. 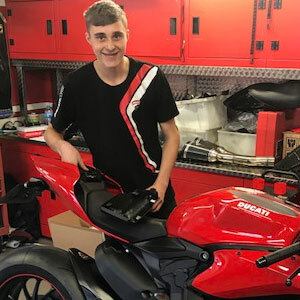 As a keen rider and track day enthusiast, Martin will always be happy to help out and also will welcome you on his ride outs, why not give Martin a call to find out when his next ride out is? 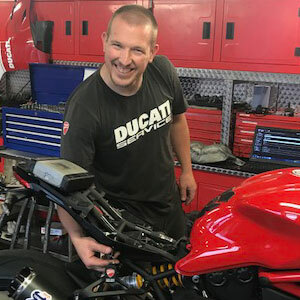 Mike has been in the motorcycle industry over 6 years, and joined Ducati Manchester in 2017. Been in the trade over 25 years and with us over 7 years. Knows his parts, even knows part numbers from memory. 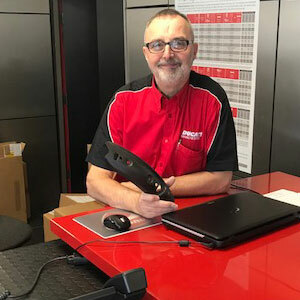 Andrew also looks after the online store parts and accessories and will always be happy to help. Megan has been with the company 2 years now and is running the Clothing department and online clothing sales. Any help you require, Megan is your girl. A keen motorcyclist. Been in the motorcycle trade for over 15 years and may be recognised by Ducatisti from Woods of Abergele. Been working at Ducati Manchester for over 10 years now. A real Gentleman and his attention to detail is second to none. You will get the service you deserve from Mark. 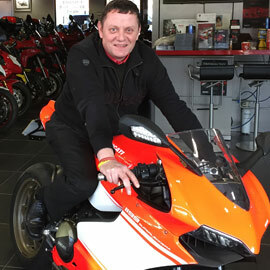 Mike has been a keen Duscatisti for over 15 years, being a customer of Ducati Manchester since our inception in 2002. 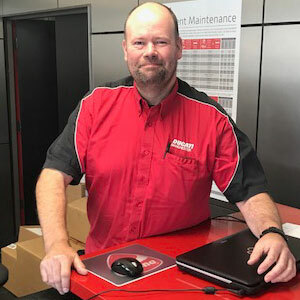 Coming from the car trade, Mike has a wealth of experience and has been with the company 5 years now. 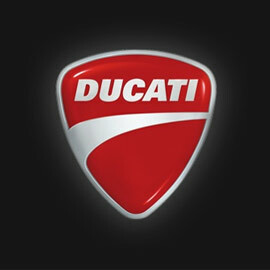 Fully qualified at the Ducati factory in Italy and been with the brand for over 15 years. Adam is our Master Technician, being with the company since 2004. Louise has been in the trade for over 25 years, and is also a biker, who does our group accounts also. Greame joined us from the Car industry. Graeme is a keen moto x rider, and has been with us over 5 years. 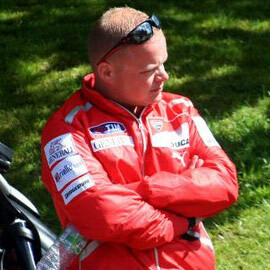 Graeme is fully factory trained and goes on every Ducati course to keep uo to date with the latest technology. Mike joined us 2 years ago on a school work placement and has been working weekends ever since. He joined us full time from school this year and is on the apprenticeship program.